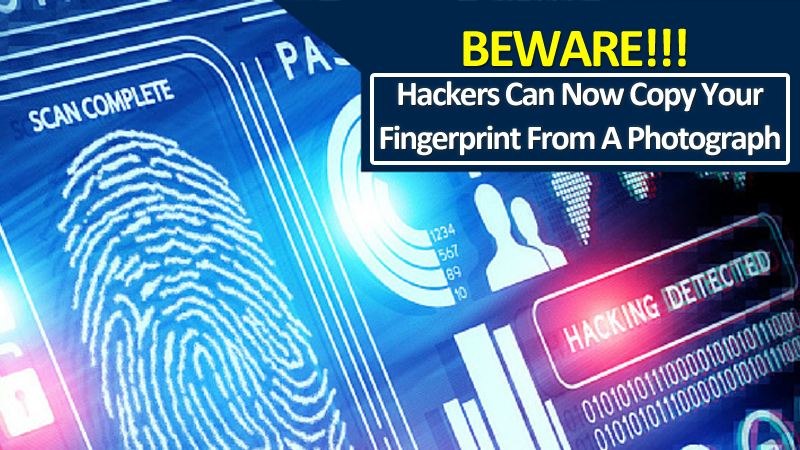 Recently, the researchers at the National Institute of Information Technology in Japan revealed that hackers can now copy your fingerprint from a photograph. Fingerprint authentication has brought new levels of security to the systems we use on a day-to-day basis. This simple measure ensures that only those who are authorized to access can enter the protected machines and systems. If their safety is considered high, a new study shows that a simple photograph is sufficient to get a sample that can be used to deceive most systems. The information now released by researchers at the National Institute of Information Technology in Japan shows the vulnerability of fingerprint authentication. According to data provided to several local newspapers, a simple photograph of the fingers of a hand making the peace sign may reveal a user’s fingerprints. The mere act of showing fingers in public can lead to fingerprints being stolen through photography. Using a typical camera at a distance of 3 meters, it was possible to collect images that were later used to create copies of fingerprints and thus unlock the equipment. The researchers went further and, with the right lighting, were able to use a smartphone to capture an image, which reveals the vulnerability to which users are exposed. The research team already has a solution to this problem. They have created a film that can be used to prevent fingerprints from being captured in the photograph. This transparent film has as its main compound titanium oxide and can be used by anyone, not interfering with the use of the fingerprint to unlock equipment. Unfortunately, this film will only be available within two years. Again, a form of authentication that is thought to be safe and inviolable ends up falling before a simple photograph. The solution, for those who depend on this form of authentication, is to prevent their fingerprints are visible, something that is not simple.